Halloween is fast approaching and preparations are in full swing around here. 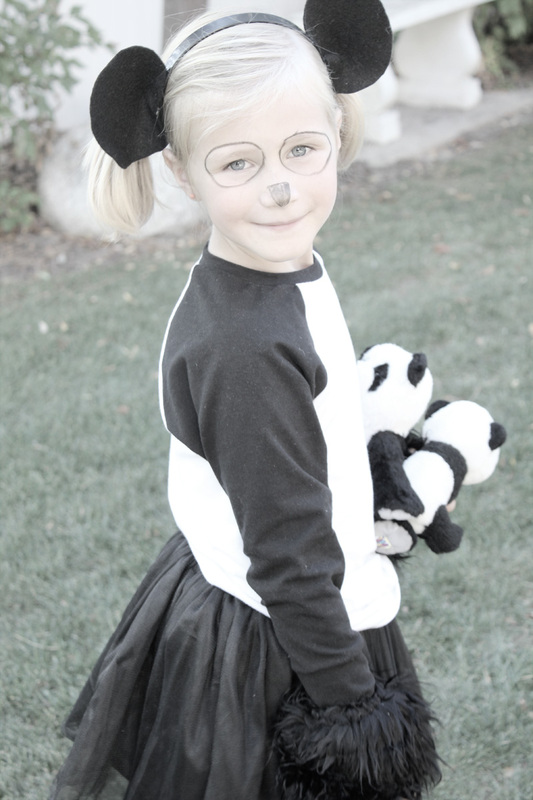 Costumes are not my favorite things to sew so when an easy idea comes along we are all over it. 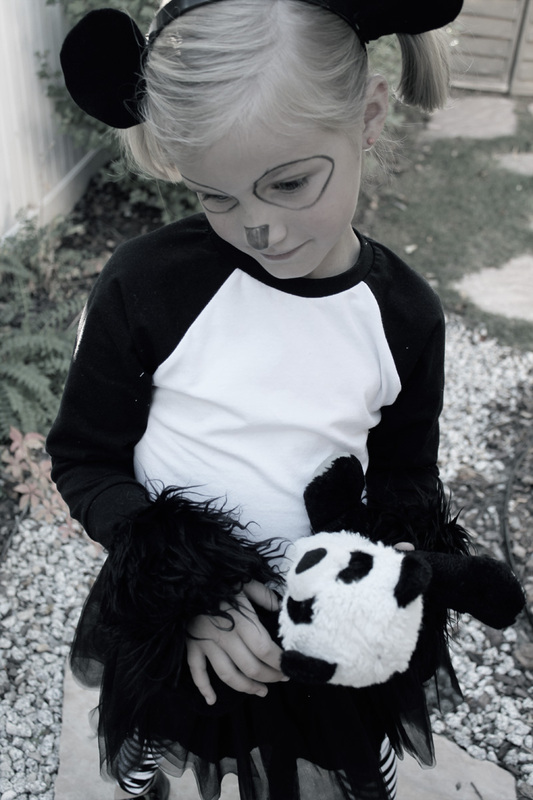 This little miss just adores pandas so it was no question what she would be for Halloween this year. We went the easy route and I whipped up a costume in no time. 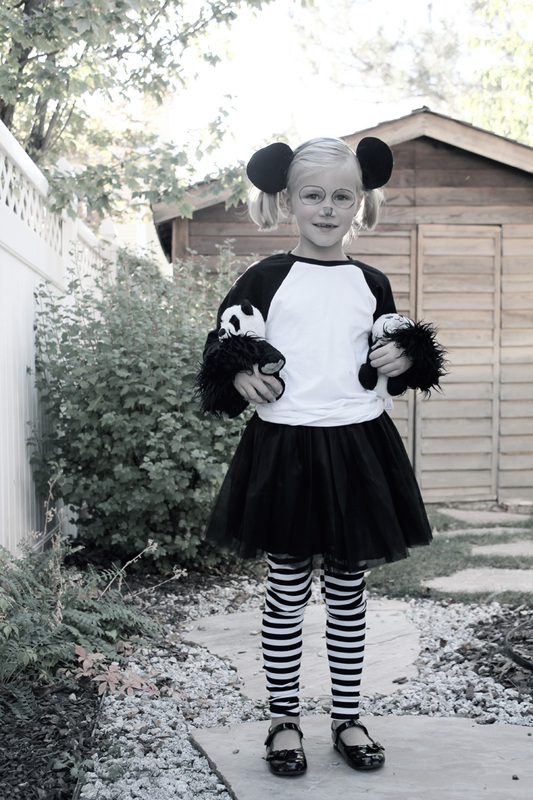 The leggings are from this post and are perfect to keep her little legs warm while trick-or-treating. 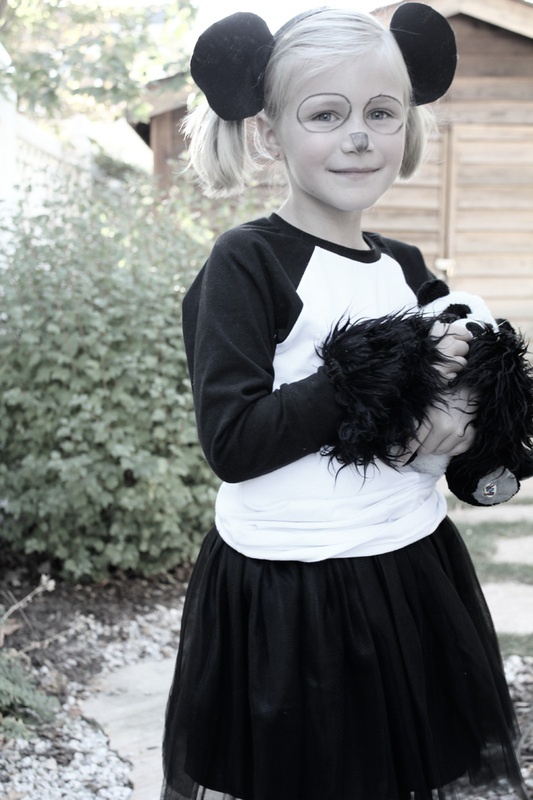 The tee is an easy-peasy Recess Raglan from See Kate Sew. 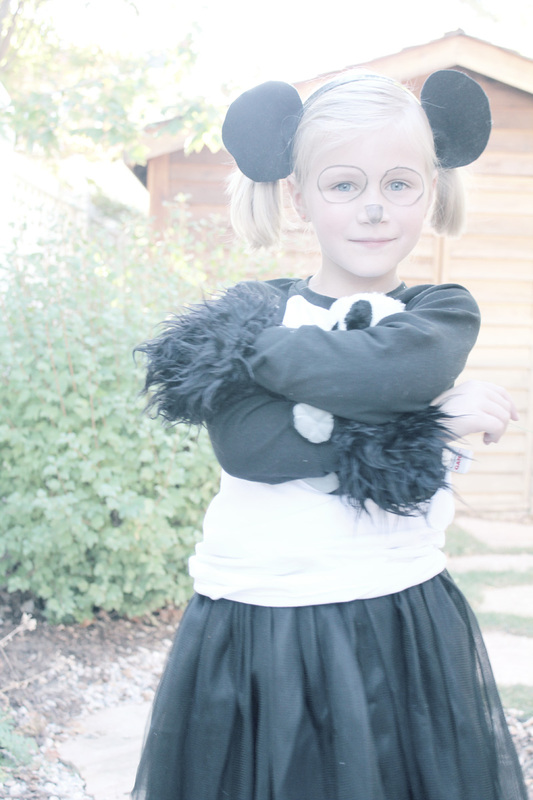 I got the tutu on clearance at Target and the fur mitts at Wal-Mart. The headband is simply felt ears hot glued to a headband. I told you it was EASY! 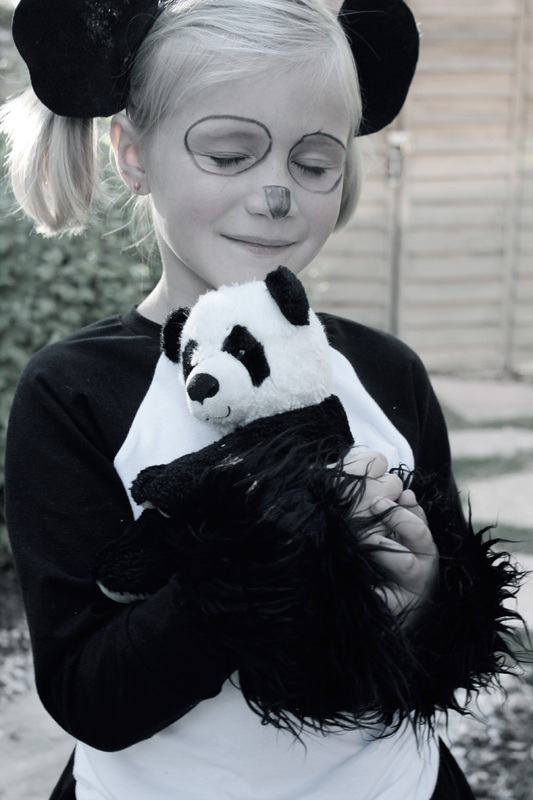 These are my favorite kind of costumes- memorable because it symbolizes an obsession in her life right now and simple, no-stress to put together. What’s on your sewing table this Halloween?